Looking For A Franchise Advisor? Home → Franchise Facts → Looking For A Franchise Advisor? The great benefit of franchising is that it enables you to replicate a proven business model in a new location, fast, effectively and with greater certainty of success than with a traditional start-up. Given this, it’s easy to think that for a franchise to succeed little more is needed than to simply ‘clone’ what works in one place and then plug in a franchisee. However, viewing a franchise as a ‘one size fits all’ business operation is a mistake. Even if the franchisee is someone who knows the business well – an existing employee, a friend or family member for instance – an understanding of local market conditions is still crucially important. Meet Brian Keen! Expert Franchise Consultant To Businesses All Over Australia! Without that knowledge, in sporting terms it’s the equivalent of sending your favourite footy team out to play without knowing the first thing about the opposition, their style of play or their tactics … they wouldn’t stand a chance of winning. And even if they did, that would be down to luck, and luck can’t be relied upon in the franchise business either. In sport, teams rely on managers and coaches to carry out background research for them. In the world of franchise, it’s to franchise consultants that many turn for franchise advice. Franchise consulting is a specialist discipline. Once franchise consultants know what you’re looking to achieve, they will help you assess the market, mitigate potential risks and make the subtle changes needed to maximise a brand’s potential depending on location. On top of this, good franchise consultants will also give you that essential third party perspective by looking at things from another angle, highlighting pitfalls and opportunities you might not see. Among other things they’ll also help you put together the critical first step. Developing your franchise business plan. That’s why even experienced franchisors look for reliable franchise advice, if only to test out their own thoughts. If you fail to do your homework, believing that you know what will work, you could be heading for failure and throwing away the potential benefits to your business of franchising, the most successful business model of the last 50 years. Here’s what happened to Secret Recipes, a Malaysian café franchise with 240 cafés in eight countries, including Singapore, Indonesia, Thailand and China. This was business that was going places. Then it tried to expand into Australia through six locations in Melbourne. But diners didn’t bite, and the business didn’t catch on, so despite investors pouring $7 million into establishing the franchise here, it turned over only $3 million last year. They may have achieved success elsewhere, but Secret Recipes had forgotten that you still need to do your homework, even with an existing successful model. If you don’t really understand the demographics of your customer and the requirements of your franchisees, and put in the effort to raise brand awareness, the cards are stacked against you. Having to put your brand on life support as you try to resurrect your franchise from ruins is not good for business and can tarnish a previously unblemished franchise brand. Investing in franchise advice from specialist franchise consultants has to be the right call, given the expensive mistake you can make without it, as Secret Recipes found out. 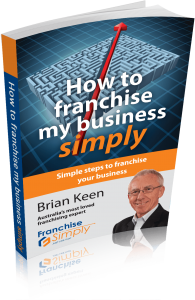 To find out more how we can help you simply find out about our Franchise Training Programs or call Brian Keen directly on 1300 960 136. How Much Will It Cost To Franchise My Business?